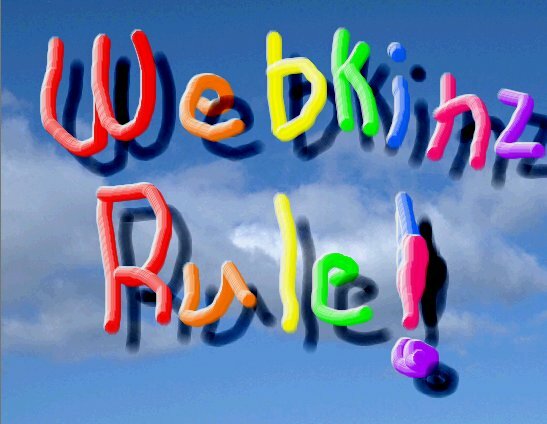 A Webkinz Forum to Have Fun! Jump to: Select a forum||--Main| |--Hi I'm new to WebkinzRule!| |--WebkinzRule Rules| |--News and Announcements| |--Suggestions| |--Someone Please Help!| |--Contests| |--WebkinzRule Polls| |--Webkinz Everywhere!| |--Regular Webkinz Talk| |--The Webkinz Stadium| |--Webkinz World Glitches| |--The Curio Shop| |--Kinzville Acadamy| |--Charm Forest| |--KinzCash Tips| |--Recipes| |--Games| |--Rumorz| |--Links to Other Sites| |--Creations| |--Books| |--Avatars and Signatures| |--Your Artwork!| |--Stylish homes and clothes!| |--Your Webkinz Homes!| |--Help! I need room ideas!| |--Clothes Help| |--Stylish Kinz| |--Other |--Role Plays |--Forum Games |--Open Chat! |--Parties!